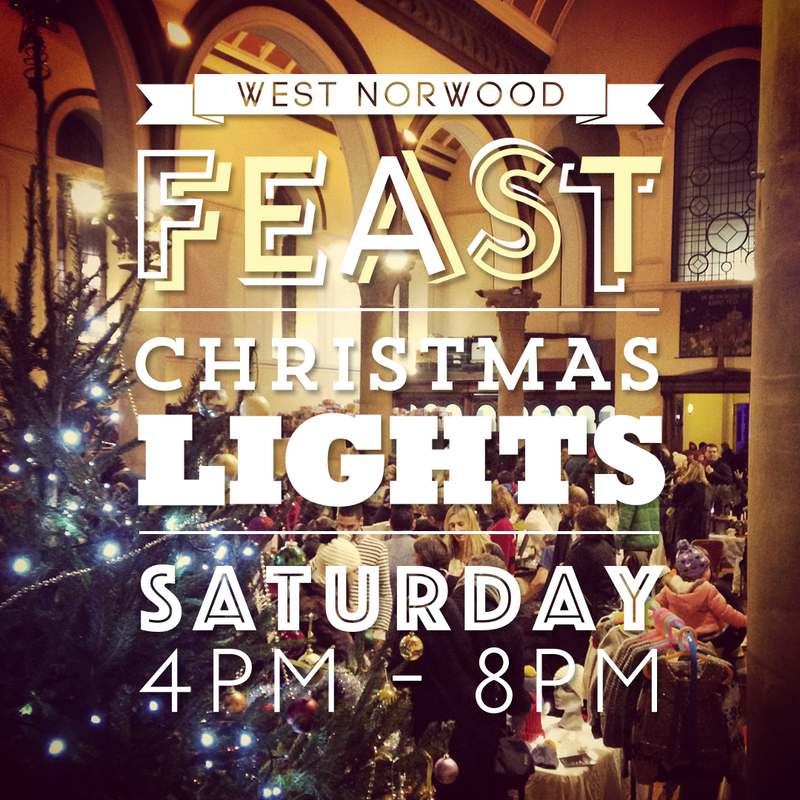 Feast & St Luke’s church come together each year to bring a volunteer powered community Christmas fair to West Norwood! Come to St Luke’s this Saturday at 4pm and watch all the lights being turned on. The church facade and grounds will be illuminated, there will be choirs singing, plus hot food & mulled wine to keep you all toasty. 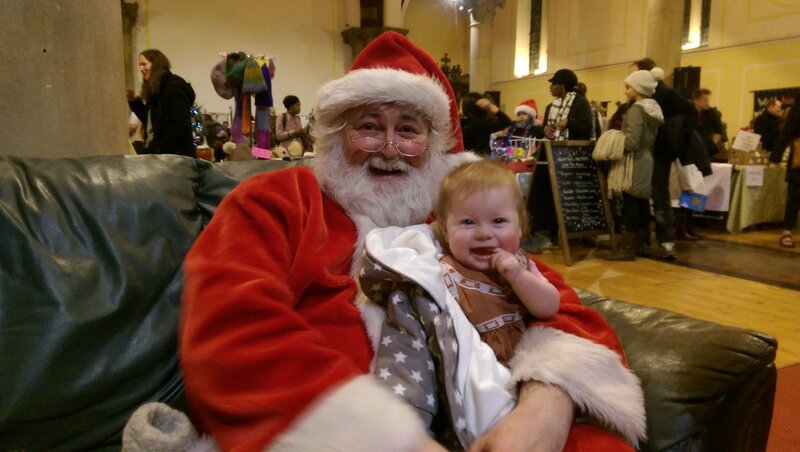 Inside the church there will be a glorious Christmas market selling all the lovely gift items you have come to expect from Feast. Santa will be there wandering around inside like he usually does, chatting to small people about what they’d like for Christmas. Children will all get a chance to make their very own paper bag lantern with a (not real) candle inside – we’ll be having a lantern parade in the grounds of St Luke’s at around 6pm. Support your volunteer powered Feast! Grab your chance to buy some lovely Feast merchandise – it helps us continue to do what we do. 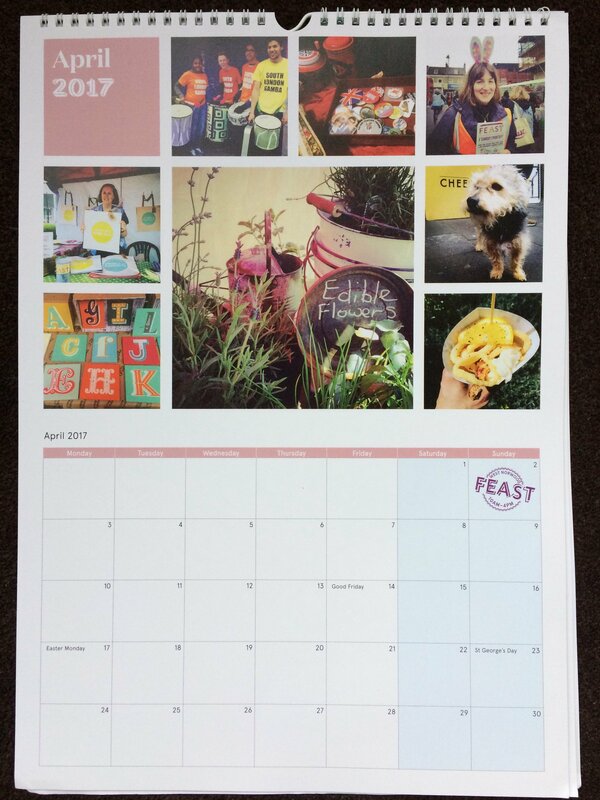 You can pick up a cheery new 2017 Feast calendar (with Feast dates handily printed so you need never miss another) or one our very popular WeNo bags, or even a pack of Feast Christmas cards! Merry Christmas from everyone at Feast! 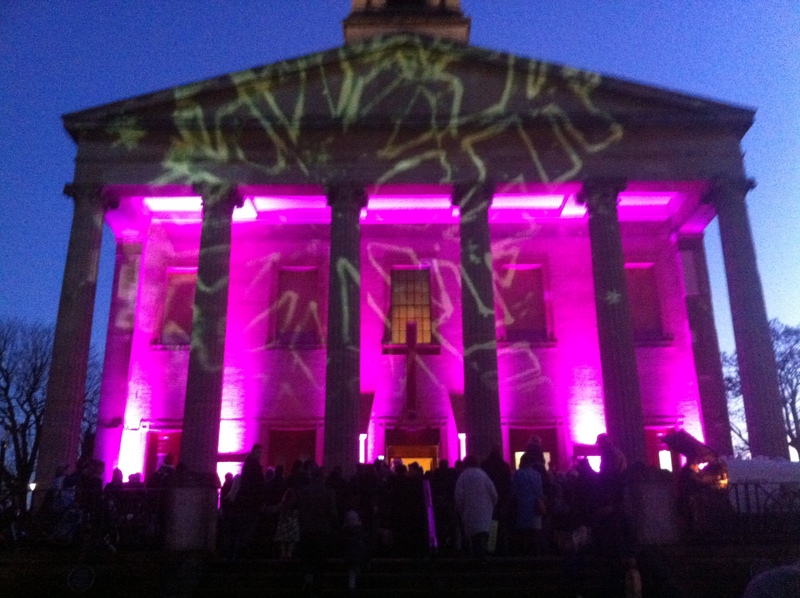 PrevPreviousWest Norwood Foto – the winning photographs!